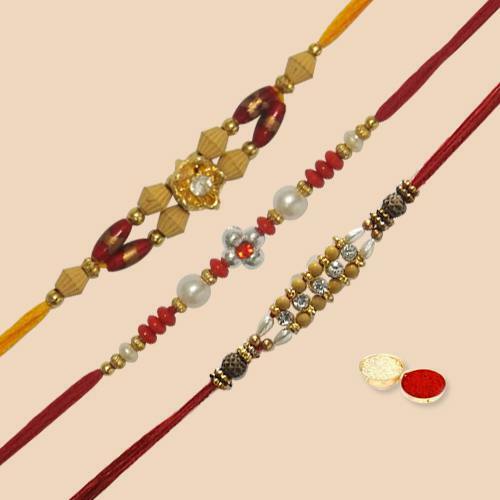 Rakshabandhan is all about commemorating and fostering the bond of affection between siblings. 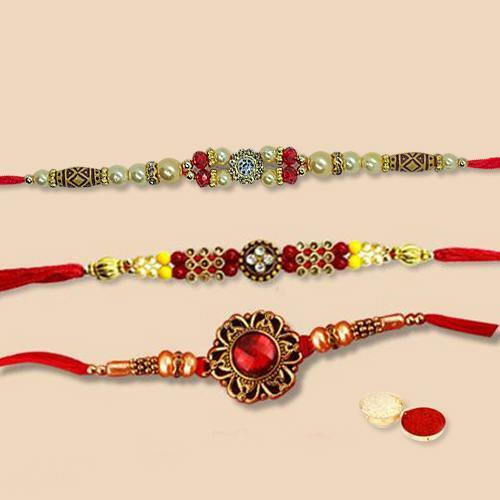 The Rakhi tying ritual is the most significant custom in Hinduism. 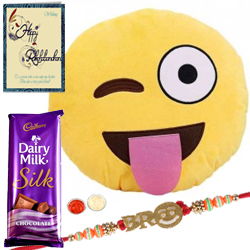 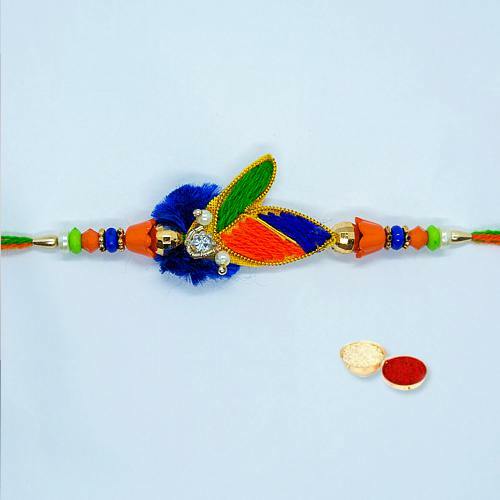 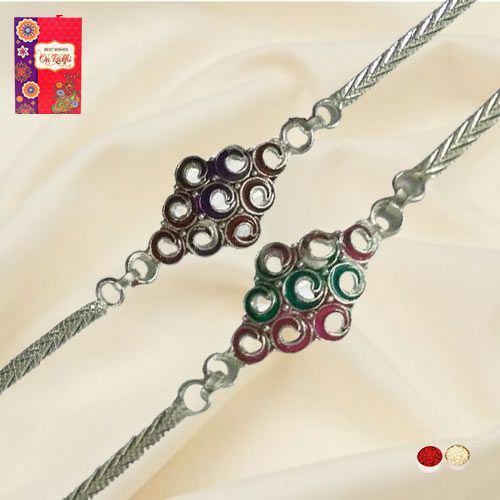 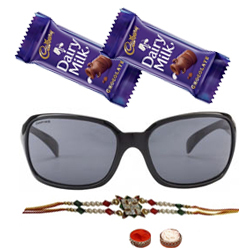 Every Sister wants a perfect Rakhi gift for their adorable Brother. 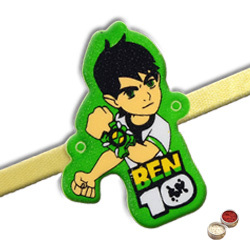 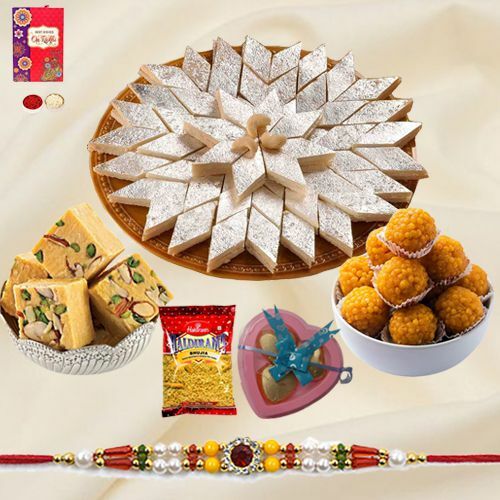 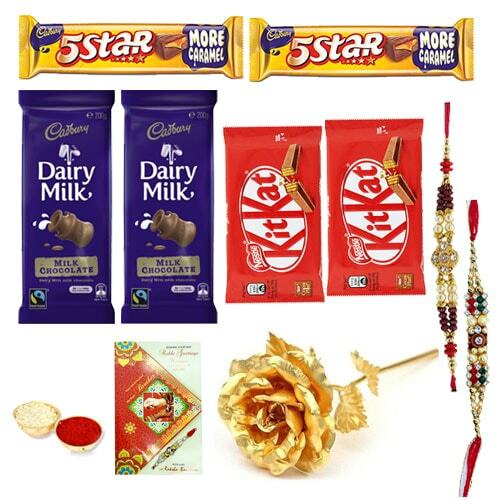 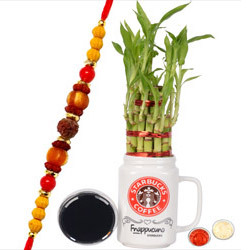 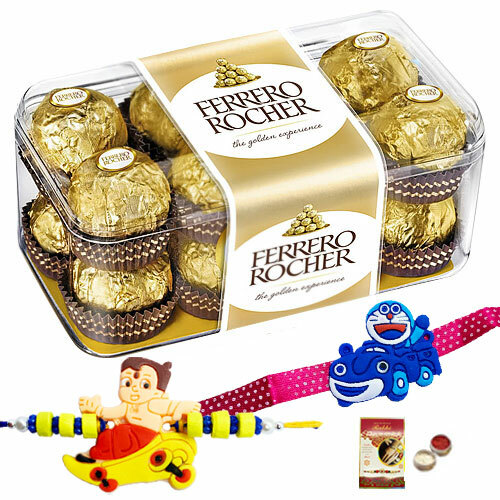 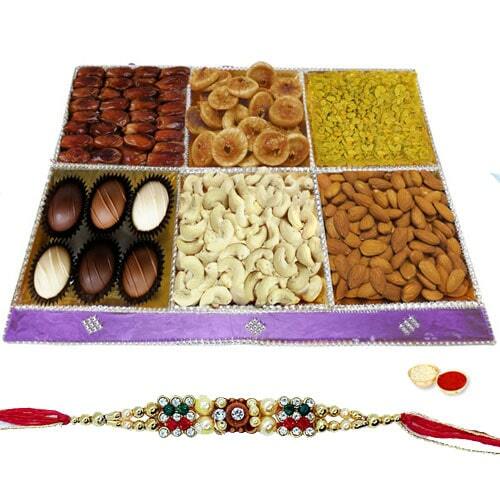 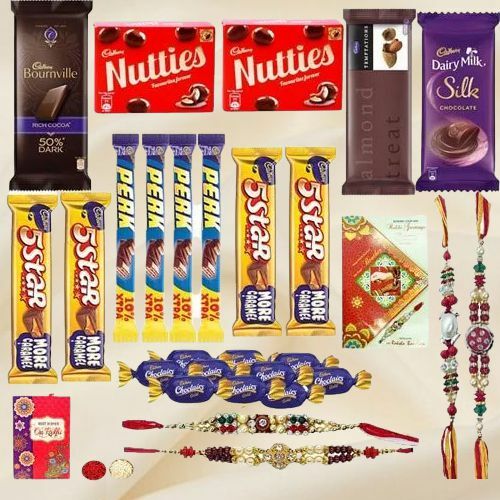 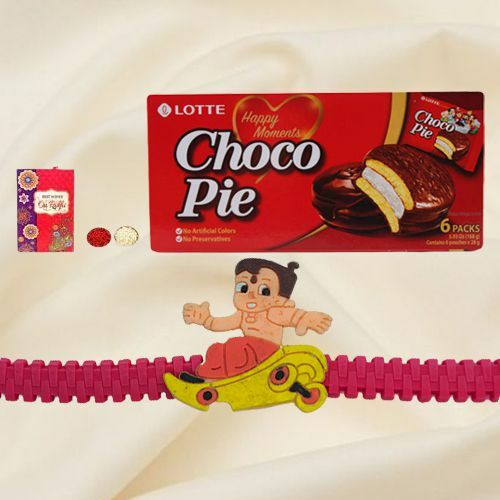 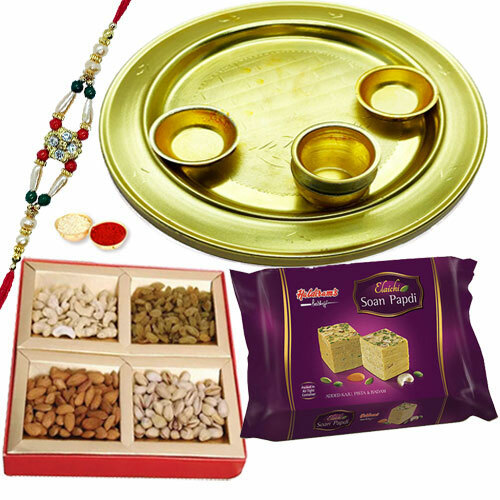 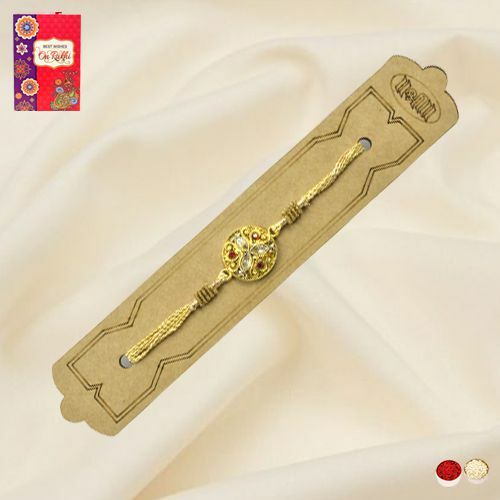 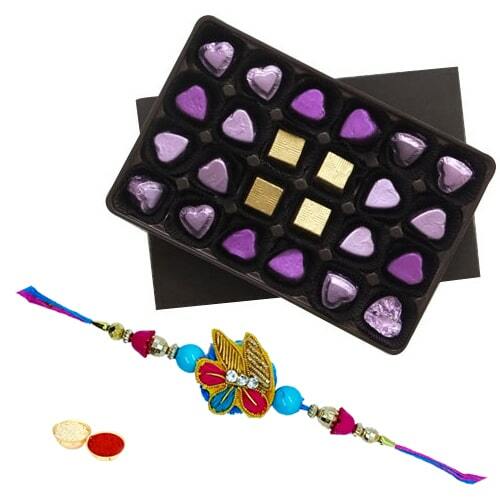 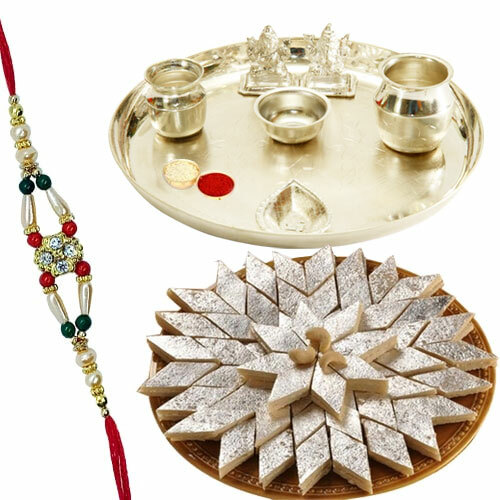 Our website offers innumerable Rakhis and Rakhi gifts Online like Red Kundan Rakhi with Assorted Chocolates, charming Family Set of 3 Rakhis with Dry Fruits platter, designer Lumba Rakhi with personalized Coffee Mug, Doraemon Rakhi with Soft Toys and many more at a reasonable price. 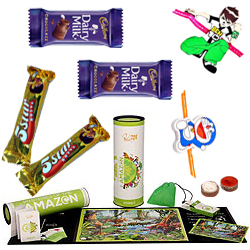 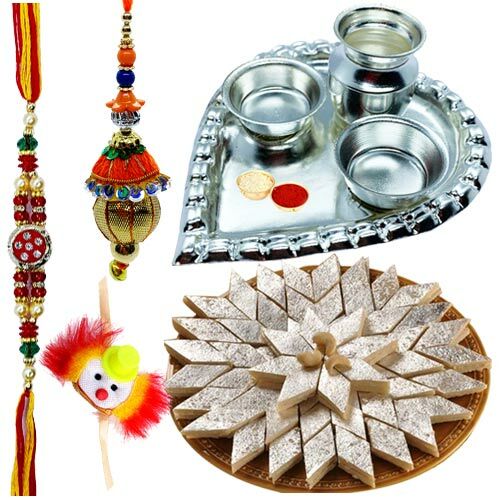 Send Rakhi Gifts to Sawai Madhopur Online at different locations like etc with guaranteed Same Day Delivery on the chosen date. 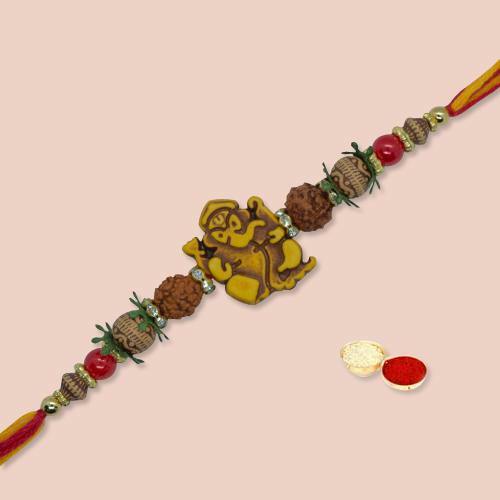 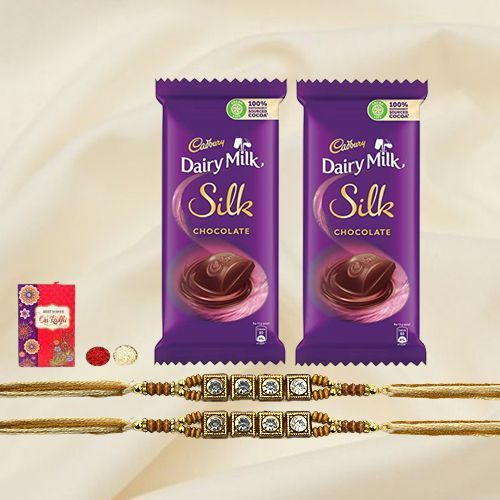 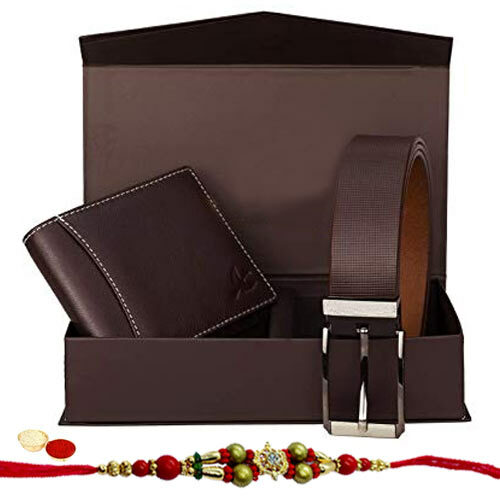 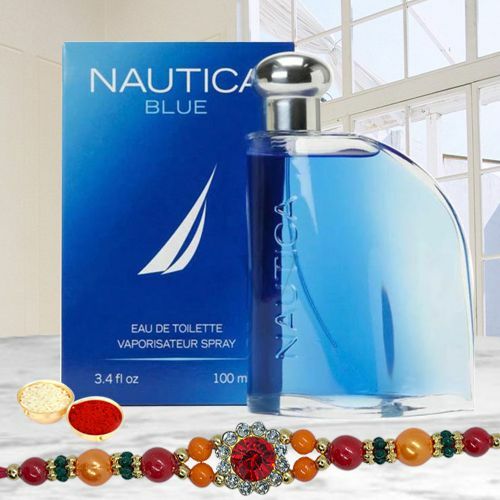 Even if your brother stays away say in USA, UK, Canada, Australia, Sisters make sure to Send Rakhi for Brother and we help them with On-Time Delivery with no Shipping Charges. 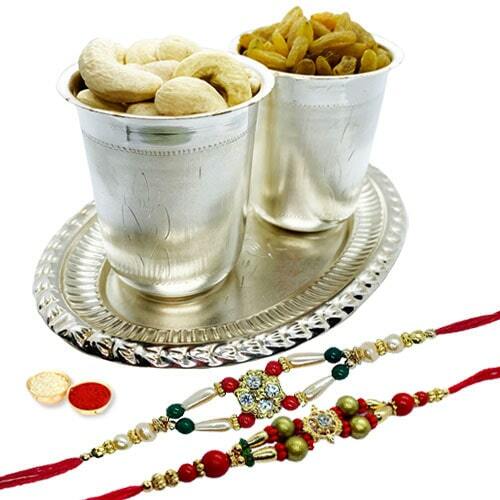 On this occasion of Raksha Bandhan i.e. 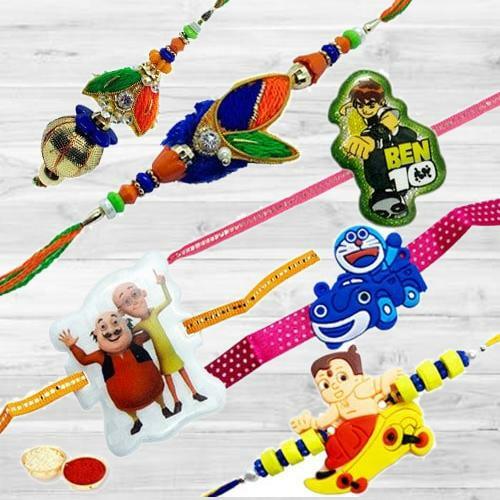 on 15th August2019, spread smiles on your Brother’s face and make your bond stronger by Sending Rakhi Gifts to Sawai Madhopur in a hassle free manner. 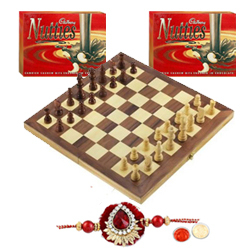 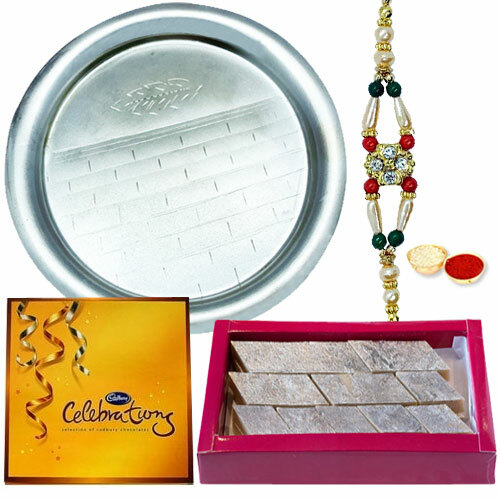 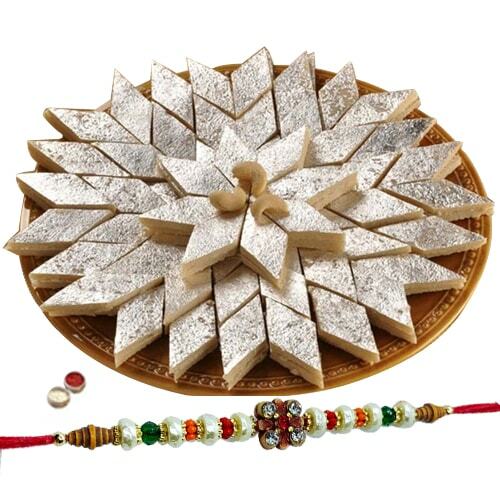 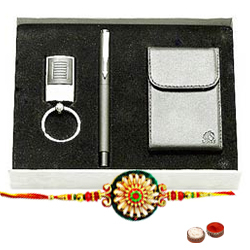 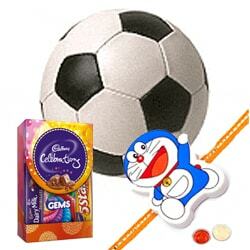 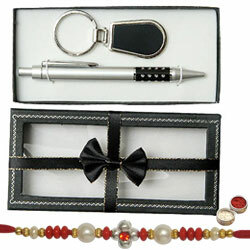 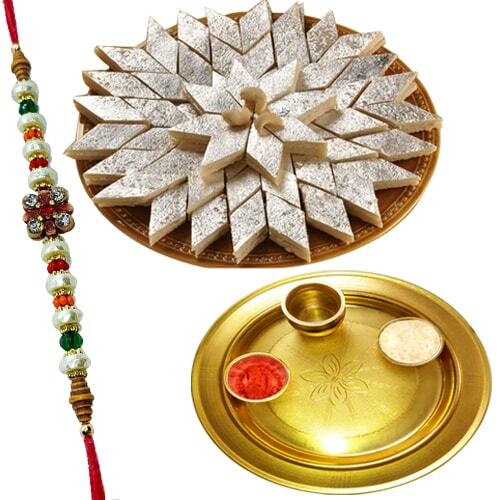 Our website offers a wide array of Rakhi and Combo Rakhi Gifts like Family Rakhi Set with Dry Fruits in Silver Glass N Tray, ravishing Bhaiya Bhabhi Rakhi Lumba Set with Puja Thali and special Mithai Set, Golden love Rakhi with Cadbury Dairy Milk Chocolates and Parker Pen Set and other personalized items like Leather Men’s Wallet, personalized Coffee Mug and Photo Frame, Perfumes, Gillette Shaving kit, Sonata Watch at an affordable Price. 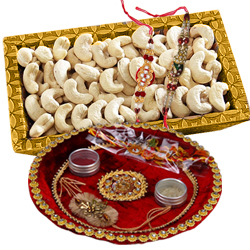 Avail Our Same Day Delivery of Rakhi Gifts to Sawai Madhopur for all possible locations like without incurring any extra delivery charge.